Since your honeymoon is just as important as your wedding ceremony and your wedding reception, it is important that you take the time to thoroughly plan it. Examine as many locations as you can stand to look at. Many couples make the decision to focus on areas that are known for their romance and beauty, such as the Caribbean. In fact, the Caribbean is where you will find one of the hottest honeymoon destinations in the world. That destination is that of Jamaica. After a close examination, you may very well find yourself booking your Jamaican honeymoon reservations right away. One of the many reasons why Jamaican honeymoons are perfect is the beauty of Jamaica. The Jamaican landscape is known for its beauty, as well as it vast array of terrain. Jamaica is filled with amazing waterfalls, streams, rivers, forests, mountains, as well as beautiful plain areas. 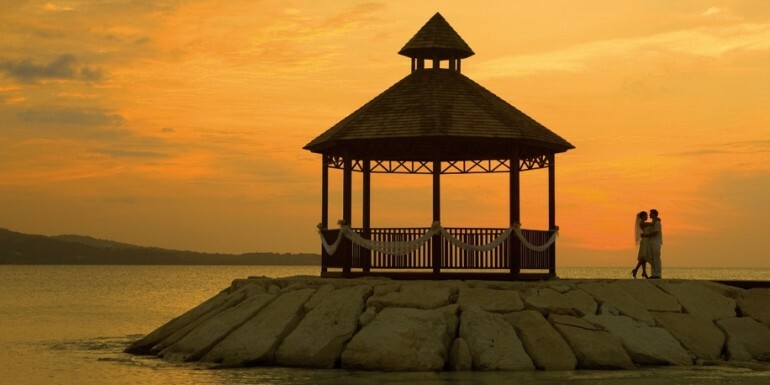 Whether you choose to visit the Negril, Ocho Rios, or Montego Bay area of Jamaica, the landscape and beauty of Jamaican is sure to, literally, take your breath away. If a picture perfect honeymoon is what you and your partner are looking for, Jamaica has it, in more ways than one. Perhaps, the largest reason as to why Jamaican honeymoons are in high demand and may be perfect for you and your soon-to-be spouse is because of the overnight accommodations. Jamaica is the third largest island in the Caribbean. What does this mean for you? It means that you have a number of beautiful, beachfront vacation resorts to choose from. Of course, you can decide to stay inland, but you haven’t experienced Jamaica if you haven’t experienced it from the beach. It is also important to mention that Jamaica has a number of beachfront resorts, many of which are tailored to individuals just like you, those who are on romantic getaways and honeymoons.